So you and/or your Board of Directors is planning a project that will involve the use of an outside consultant or consulting firm. We've all seen consulting projects that have been irrelevant and even terribly disruptive. We've also seen projects that have bootstrapped organizations to the next level or supplied one small key piece of the puzzle that allowed an organization to maximize existing resources. How do you plan a consulting project and provide oversight to the workplan to get the most out of a time-limited relationship? It will be as good or as bad as your organization makes it! successful consulting projects are responsive to organizational strengths and needs. 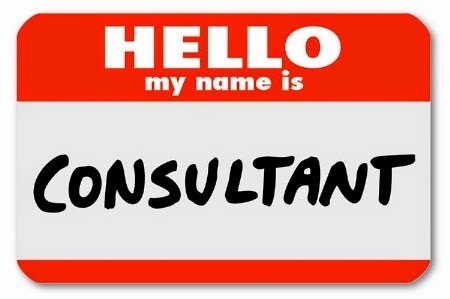 Choosing the consultant. Find someone with strong relevancy to your organization's needs. Look at the past experience of the consultant for indications that they know your sector and how to work with organizations of your size, especially when sectoral knowledge is very key to the project. Be sure the skills and expertise of your consultant is a match for the specific focus of the project, e.g. "social media marketing" and not just "marketing" if they are charged with a social media marketing plan. Be sure that the consultant you are in conversation with is able to be as hands-on and present in the organization or as independent as your project needs them to be. Be frank with the consultant about what you need and don't need. Discuss the draft plan with the consultant as well as the opportunities, strengths and limitations of your organization. 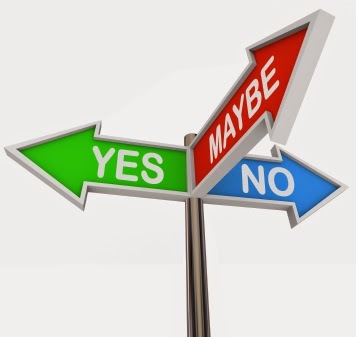 Be receptive to suggestions that enhance your plan but wary of someone who wants to make huge changes to the plan. They may not be a fit for what the organization needs. Assure everyone involved in the project is clear about lines of authority, responsibilities and reporting. In successful consulting projects there is organizational oversight. Who directs the consultant's work? Who intervenes if a consultant's work is not being done, goes off-course or is being disruptive of operations? Is there a staff member(s) assigned to assist the consultant? If so are those staff members aware of how they will be expected to assist? This needs to be spelled out, "You will be required to occasionally assist X by research and assembling information. This is not to take precedence over your regular work, should not involve more than 1-3 hours work per week." Do staff know what information is permissible to share? Be thoughtful about privacy legislation and your own valuable contact lists. Do staff understand the likely outcomes of the project? "The information you give us on information flow and 'who does what' in your department will guide an HR reorganization that could change reporting structure and job descriptions". Understanding the importance of the project will elicit buy-in. Irrelevant projects: A marketing plan for an organization without the staff or finances to support the plan. A "think outside of the box" innovational strategy that is not sustainable due to known factors. Choosing the wrong consultant: You picked someone with a knowledge of foundations and government funders to plan and pioneer an individuals and corporate donor campaign. Lack of oversight: Consulting project takes on a life of its own due to lack of oversight. Results unlikely to reflect original goals and project either becomes irrelevant or disruptive. Results become hard to assess when it is unclear what the consultant actually did. Staff resent a consultant taking on roles that is in their job description. Lack of clarity about reporting structure/staff roles; Due to busyness and lack of information staff are uncooperative, stalling the project or the opposite, staff unduly priorize consulting project to the detriment of higher priority work. Consultant, unclear of how to get needed help, goes to anyone who answers the phone for help sometimes causing duplication and confusion. Consultant unclear of boundaries, contacts staff at home, via personal email etc. Staff who have no mechanism to refuse to put in extra hours for consultancy project ask for huge overtime payments or time in lieu due to work heaped on them by the consultant. Lack of clarity/process and ethical considerations in information sharing. Wary staff refuse to share information needed for the consultancy. Staff fail to priorize information sharing because they don't know how it will be used. Staff who misunderstand Consultant's scope share privileged information. Consultant offers the organization contact information that is not supposed to be shared. Our contact list is shared against our wishes and our contacts complain. Individuals added to our contact list complain about spam. We see a decline in funding results from known sources the following year and discover our list of funding contacts is being used by a competitor who has hired our former consultant. I have been thinking for some time about how we monitor and resolve ethical dilemmas in the non-profit workplace and how we could assure that public money is well-spent. In the not-for-profit and arts world I believe we set ourselves up to be uniquely vulnerable to the pitfalls of ethical systems based on utilitarianism. This is the ethical system in which the "good of the many" always outweighs the "good of the few", a system that becomes challenged when the means are not ethical in and of themselves. In not-for-profit workplaces we think about "Ends" all the time. Right on the top of all our literature and websites we spell out the "Mission". We are focused and passionate about the mission of our organizations, whether it is feeding the hungry, housing the homeless or assuring the survival of a classical orchestra. Into all this passion and energy for achieving worthy goals comes a number of roadblocks that can make us, as non-profit staff and managers, feel that government funders, sponsors, regulatory bodies, are treating us unfairly, stacking the deck against the success of our organization to achieve our mission. Those challenges include: the preference for funding projects and program costs, over needed support for core operations; shifting priorities and programs from governments and foundation funders; narrow program objectives that don't match the needs of the communities we serve. And some days we feel like if we hear the word "innovation" one more time, we'll scream. We twist our programs pretzel shaped to try to qualify for those innovation grants when, really, we think that the way we have always done things is probably pretty soundly based on best practices. Between the passion to do good and the frustration about roadblocks that seem illogical, unpredictable and insurmountable there sneaks in a philosophy of the "end justifies the means". Whether we bend the truth a little bit in our funding application to make our planned activity seem like a better fit, or we move expenses in accounting lines to shift expense from administration to program and marketing, we are embarked on a slippery slope. Tensions mount in organizations when doing whatever it takes to get or keep funding pushes staff members beyond their comfort levels. These are not victimless crimes. Public dollars, the reputations and health of workers, the continuation of programs and services that the public counts on are jeopardized when organizations foster a culture of unethical expediency. Staff members feel helpless in organizations where they are not just asked but required to do unethical things: back-date mail machines to send in applications after funding deadlines, forge a signature because someone is unavailable, spend all their time working on one project that they are not funded to work on and neglect the work they are funded to do (a common way of shifting funds from one program to the other surreptitiously), directly shift funds from one program to another without the funder's knowledge, invent statistics, report fundraising costs of a special event fundraiser as a "program" cost, report expenses of one project as the expenses of another, double and triple raise project revenues for one pet project while reporting a reasonable budget in each request, over-spending ridiculously on one area. . . all things that have been sanctioned in organizations I have worked for in the past. Yet there is little over-sight of non-profits and whistle-blowers at the staff level often have their careers ruined while they sometimes see the non-profit manager who forced the questionable or outright disgraceful practices be backed up by non-profit boards and even to be recognized with national awards. Any solutions have to deal with both the problem and its causes. Adequate funding of basic operations of non-profits that are operating effectively in the public good will stop the need to fudge program costs to cover operations. I could say that Boards should stop propping up corrupt leaders but . . . that's not going to happen. The "friends of X" board is alive and well everywhere. I have come to the conclusion that there needs to be tougher regulatory bodies at the provincial and federal level that will investigate allegations of mismanagement of publicly funded non-profits. Working currently in a very well-managed and ethical non-profit has given me new perspective on the harm that unethical non-profits do to workers, funders and programs. A great discussion today emerged in the Grant Writer's Network on Linked In "How do you deal with clients who don't provide you with the detailed information you need to write the grant?" This comes up a great deal of the time when organizations ask me to write a grant for one of their projects. Normally writing a grant takes me 8-16 hours of work time (depending on the program) and I don't feel good about billing someone for more than 16 hours for any grant, because it just gets expensive for them and it is hard for organizations to understand why a "writing" task could take longer than 2 full work days. The answer is, "when you don't give me the information I need and I have to repeatedly request information, explain and re-explain what I need, and/or I have to research and create statistics/budgets myself. With some grantwriting tasks I have spent more time emailing the organization's staff with questions and requests than I have working on assuring they have the best possible proposal to submit to a funder. Stressful for me, costly for them. What should you expect to provide to a grantwriter? Support letters from partner organization, or who to contact to get the support letters. I'd suggest that you keep all the annually updated organizational information in a zipped "organizational information" folder for easy emailing or post the documents in a password secured location for downloading. That will save you a lot of time finding the documents individually. Project information seems to cause people more difficulty. If you lack program details you aren't going to be able to effectively raise money. You cannot wait to "see if you get the money" before finalizing your plan. Plan your optimal project and contingencies, then you are ready to raise the money! Funders seem to love them. Grantwriters hate them. Online application processes. Recently I completed a "Celebrate Ontario" grant application on the Grants Ontario website. In addition to the "One Key" Log on for the Service Ontario site there is now an additional log on process for Grants Ontario. I waited 48 hours before my log in was sent to me after registration. Once on the site I was presented with two options: Complete the application online or download the form. Since I couldn't get more than the first page to display online, I chose "download the form", thinking to email the form to collaborators for input. HOWEVER, the copies generated by the form were locked pdf's and it was impossible to convert the document to Word for collaboration. I tried uploading it back onto the site but there seemed to be no way to save a draft created offline for online collaboration once the form had been downloaded. Submit was the only option after upload. It was truly infuriating. In order to work collaboratively it was necessary to copy and paste questions one by one into a Word document and then collect responses and copy back into the document. Why? What is fundamentally wrong with allowing organizations to easily share working on a document? While attempting to complete an application for another program using an online fillable form, the site kept timing out and losing my work although it appeared to be functional until I hit the "save" button. Is there anything more infuriating than the "Ping" of a locked form when you have reached the end of your character limit? Because people, organizations and projects are very different, why not allow them to provide more content in some fields and less in another. Rigid word/character counts distort project descriptions and rob funders of detail. But surely online forms are more secure? I seriously question that assertion. Recently I submitted an application on behalf of an organization, working as a consultant. I expected that I would have to verify my ability to file an application on behalf of the organization but in fact no such checks were made. No signature was required and I could have asked that the cheque by made payable to anyone or sent anywhere. By contrast, old-fashioned paper submissions required multiple organizational signatures. What is founder's syndrome and why does it affect so many smaller arts and non-profit organizations? Founder's syndrome occurs when a founder of an organization is not able to transition leadership style as the organization matures and grows. The founder continues to operate in the same manner as he/she did in founding the organization, seeking to personally manage every aspect of a growing organization. The strong entrepreneurial personality that developed a new organization may be unskilled at or unwilling to delegate. The tireless worker that was willing to pull all-nighters to get in last-minute grant applications may be unable to schedule work or effectively manage their time. The genius that came up with spontaneous project ideas may not be willing to work on long-range plans or within budget guidelines. All of the affects of founder's syndrome results in limiting the growth and effectiveness of organizations and often creates toxic environments for workers, artists, clients. We naturally see more of this in smaller organizations because it is such a strong factor in limiting growth. It is more prevalent in the non-profit sector because while for-profit organizations can be affected by founder's syndrome, market forces exert limiting pressures on poor leadership. The for-profit company that cannot grow and change often fails while others are forced to change their ways or leadership to remain competitive. By contrast non-profits are less subject to market forces and may have difficulty discerning reasons for organizational stagnation or failures. Non-profits are governed by unpaid community volunteers who may feel unable to pass judgment on the workings of an organization that is outside their area of expertise and where evaluation may be more qualitative than quantitative. Volunteer Board Members customarily spend little or no time observing the day-to-day workings of the organization. They may also be friends of the Founder and so not impartial. They may have been convinced by the Founder that any inquiries about management is "meddling". Staff and volunteers in the arts and non-profits tend to be very high-minded and mission-driven. This results sometimes in a willingness to tolerate a sick work environment in a mis-guided idea that it is "for the good of the cause". How does Founder's Syndrome develop in organizations? Founders alone cannot create an organization with Founder's Syndrome. It takes a step-by-step, person by person tacit agreement to cede power to the Founder by Board Members who should be providing governance to the organization. It also requires funders, volunteers, staff, colleagues and other stakeholders to decide to continue to support the sick organization or to leave silently. Over the years it there may be numerous loud and clear signals that there is something terribly wrong in the organization but no effective action is taken to address the problem or to provide help to the Founder to assist them in developing a more effective leadership style before they stifle or bring ruin to the organization they founded. What are the symptoms of founder's syndrome? 1. There's a "friends of the founder" Board of Directors. The founder has recruited the Board of Directors him or herself (normal in the initial stage of an organization) and the Board has never taken over authority for recruiting new members themselves based on the needs of the organization. Board members are vetted by the founder and Board Members that try to counter the Founder's wishes are quickly ejected. The Board sees their role as supporting the work of the founder rather than stewardship of the organization's Mission and sound governance of the organization's work and resources. 2. 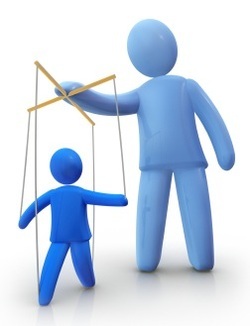 Decision-making within the organization is all controlled by the founder. Staff either don't know what's going on or plans suddenly get de-railed by a decision of the founder. Ideas that come from elsewhere than the Founder don't go very far. Staff become discouraged about offering innovative ideas, stop being pro-active and may even be afraid of the founder. 3. Organizational information such as newsletters and brochures contain a lot of information about the founder: personal letters from the founder to supporters, news of the founder's awards, achievements, pet projects. Board members and staff seem oddly uninformed about the details of project plans, budgets, and any results or evaluation. Staff cannot articulate processes, statistics or evaluation methods. 4. The founder often talks about "my vision, my program, my goals" rather than "our goals". When asked about rationale for methods it is not unusual to hear, "we have always done X" or "I believe it is best to do Y". There is no process for new ideas and methods to be introduced. 5. There is a resistance to any changes that might create a real or perceived loss of control, e.g. a founder that is uncomfortable with technology will resist the implementation of a user-friendly website that a staff member might be able to create and manage because she/he will feel unable to control the content. 6. Information hording can occur because information is power. The more threatened a founder is by a staff member, the less likely the founder will be in sharing information with that staff member. What are the options for an organization with Founder's Syndrome? 1. If the Founder recognizes the problem, get them help through professional leadership counselling. 2. If the Founder does not recognize the problem you'll need buy-in from more than one organizational level to effect change. Without support from Board, Staff, and Funders you will not be likely to succeed. Staff driven efforts alone result in Board backed firings that can ruin careers and even the health of staff members summarily dismissed for the efforts to alert the Board to the dysfunction. Board-driven change processes that lackstaff and funder buy-in can result in funding cuts, and/or sabotage at the staff level and ultimately Board fatigue, resignations, replacements. Funder led calls for reform without organizational support can result in financial hits for the organization but no real change. The organization will find new funding partners or fail, but will be unlikely to effect real change to suit a funder unless there is recognition of a problem. What are the implications for staff employed in an organization with Founder's Syndrome? 1. Recognize that you are in a very challenging environment and you may not be able to effect change. Go easy on yourself. 2. Consider your options and prepare your exit strategy even before it's necessary. 3. It is unwise to try to effect change in the organization unless there is a Board initiated effort for organizational change. 4. If you elect to stay in the organization focus on small goals or achievements within your area of responsibility with minimal opportunities for friction with the Founder. 5. If you choose to whistle-blow, be prepared for a very difficult time and possibly lasting career damage. It might be personally advantageous to simply resign. 6. Work within the non-profit sector to promote awareness of this problem and protections for workers. Is it time for some "rules of the sidewalk"? We all have to learn and obey the rules of the road when we drive a car, motorbike, or even venture on the roadway with a bicycle. But who sets the rules for pedestrian thoroughfares: sidewalks, malls, escalators, stairways, hiking trails? Some days it feels like a free-for-all out there and it is getting dangerous. A near accident a couple of days ago started me thinking about this. On a busy downtown sidewalk I heard someone walking rapidly behind me. Being a polite person, I did what I have been trained to do my whole life: I politely stepped to the right to let the person in a hurry pass me. Engrained in my sense of how the world works is that slower traffic stays to the right and faster traffic passes on the left. Because this individual decided to pass on the right instead, I unintentionally shoulder checked her into King Street where she could have easily been hit by a passing car. If you try to pass people on the sidewalk on their right, this kind of accident is going to happen. On the roadway we know that we have to stay in our lane and that traffic is two-way unless signed otherwise. In rush hour that often means that lanes going one-way are crowded while the roadway on the other side is empty. However car drivers do not see that as a licence to drive all over the road. Yet the same people when exiting the subway decide that they can walk up both sides of stair-wells and make it difficult and dangerous for the fewer number of individuals going in the opposite direction.I have sometimes shouted out, "hey two-way traffic stairwell, bear right" as I have wrestled my way down the King Street station stairwell. As someone who lives in downtown, I often find myself commuting against the flow of traffic. Pedestrian routes are for pedestrians. No wheeled vehicle, apart from mobility devices has a place on the sidewalk. I had someone on a bicycle justify their presence on the sidewalk on the basis of walking a dog from bicycle! There's so many things wrong with that it left me sputtering. With motorized wheelchairs and scooters sharing our walkways, seems like we need some rules about how fast these devices travel. No mobility device should be moving on a congested sidewalk or other public space faster than pedestrians. Increasingly I see mobility scooters traveling at reckless speeds on sidewalks, in malls and in shopping centres. Again, keep in your own lane and slower traffic bears to the right helps prevent a lot of accidents. Bicycles on shared pathways need to slowdown and make sure the people they are passing are aware of their presence and are not going to step out into your path. You shouldn't think that just because you have pinged a bell or a horn that the pedestrian has heard you. Between Ipods and hearing impairment you can't be sure until that pedestrian steps aside and you have eye-contact. Working on a project to use blogging in an international education project got me started in the blogosphere. Now I'm hooked! I've always been a bit of a computer geek and writing has been a key part of my positions in arts and non-profit administration. My career has spanned such disparate roles as symphony and opera management, political communication roles, social justice advocacy leadership and literacy project management. I'm interested in blogging as a tool for artists, for social communication and as a tool for political empowerment and social justice. I'm most interested in the connections between those goals. Where can the arts empower and give expression, hope to the socially oppressed? Where can political organizing help artists gain more independence and be more heard in our society? And how can our technological tools, websites, blogs, RSS, podcasting, virtual communities like Second Life (where I am Kate Miranda)further all of these goals?